In the howling wind and pouring rain, Cardiff produced a vastly improved effort to gain a losing bonus point away at our neighbours in Ospreylia. Conditions were not necessarily condusive to free-flowing rugby but the 9,000+ crowd were still entertained as the game to’d and fro’d, particularly in a tense end to the game when Sam Davies’ boot kicked the Ospreys to victory. We came into the game on the back of a quite frankly dreadful performance, particularly in the second half, against Harlequins, and were looking for just our second league win of the season. Meanwhile Ospreys had similarly struggled in the league, only two wins to their name, but had performed markedly better in Europe over the previous two weeks. 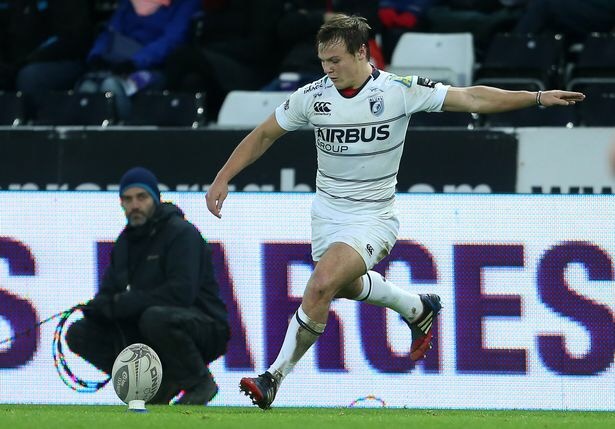 Cardiff, boosted by the return of Sam Warburton from illness and handing young fly-half Jarrod Evans his first league start, made the best of the conditions early on, with some strong running and clever box-kicking from Lloyd Williams eventually causing Ospreys to concede a penalty. The combined efforts of Rey Lee-Lo and Warburton handing Jarrod Evans a nice confidence booster early in the game. A tight and tense period ensued as strong defence and handling errors on all sides hindered any chances of scoring. Unfortunately half an hour in we were dealt a big blow, as Sam Warburton gained an ankle injury and Tom James received a smash to the head that neither would recover from. The last serious play of the half came as Jarrod Evans missed a tricky chance to put us six points to the good, meaning we stuck with a 3-0 lead at the break. After 15 minutes hiding from the weather, Ospreys had the first chance of the second half, with Dan Biggar’s half-time replacement, Sam Davies, missing his first kick of the afternoon. High balls and scrums were the order of the second half, with Cardiff seemingly dominating both, resulting in Jarrod Evans putting over a long-range penalty. 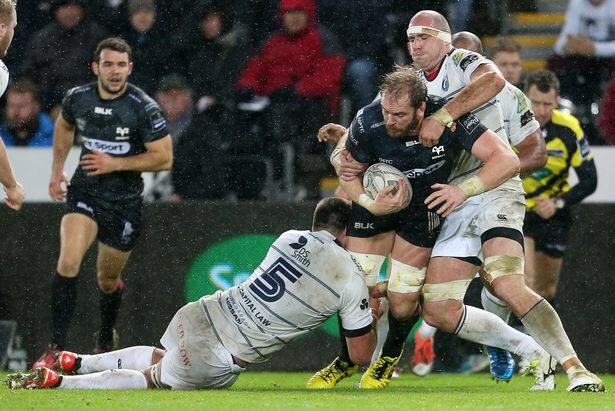 Unfortunately, as the weather continued to worsen somehow, our defence effort struggled with the Ospreys onslaught which they had kept out bravely thus far. Eventually, yards were gained and the redzone entered, before Alun Wyn Jones powered over, Sam Davies adding the extras. We really now needed to do something we hadn’t looked like doing all match, and score a try, but as the game entered the final 10 minutes our discipline deserted us. One penalty for not rolling away saw Davies extended the Ospreys lead, before he missed another to avoid punishing us further. However, in the last two minutes, we completed the task of shooting ourselves in the foot with obstruction called in midfield and the home fly-half was on hand again to put his side a converted try ahead. We never really looked like levelling it up, despite going through the phases deep into added time, and eventually we coughed up the ball to end the game. In fairness to the side, I wanted 100% effort for 80 minutes, and it wasn’t far off that. In fact in many respects, it was 110% effort in the first 40 which did adversely affect our performance in the second half, especially when we were forced into three changes before the end of the break. It’s also a bonus point which I’m sure the majority of us in Cardiff would have bitten a hand off for on Saturday morning. That’s a solid base to work off now the league has properly restarted after the European break, and a defensive performance like that on Friday against Connacht will go some way to a win. Now just to pick some players capable of scoring a try….come on Cardiff! !